ABC Russian: How to say "Thank you" in Russian? How to say "Thank you" in Russian? Saying thank you to someone is probably the easiest and nicest gesture of gratitude and sympathy, so here you can learn how to say thank you in Russian. Appropriate for any situation is the universal word ‘spasibo’. If you want to emphasize how grateful you are, say ‘bolshoe spasibo’ or even ‘ogromnoe spasibo’ — a big and giant thank you correspondingly. 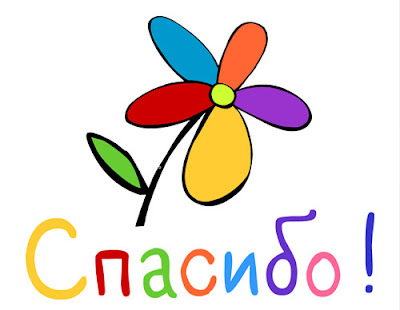 If you are in a formal conversation or want to use an elevated style, opt for ‘blagodaryu’, which is a slightly aristocratic way to say thank you in Russian. For those of you aiming at the other end — the word ‘pasib’ is a very colloquial way to say thank you in Russian, which is also quite popular on the Internet. If you want to sound ultra-cute — and here we are talking about girls above all — your way to say thank you in Russian would be ‘pasibki’. And finally, something you will not find in any Russian textbook and a massive linguistic bombshell to drop and make your listeners smile is the word ‘blagodarstvuyu’ — an old-fashioned bookish word which today is mostly used in humorous situations.